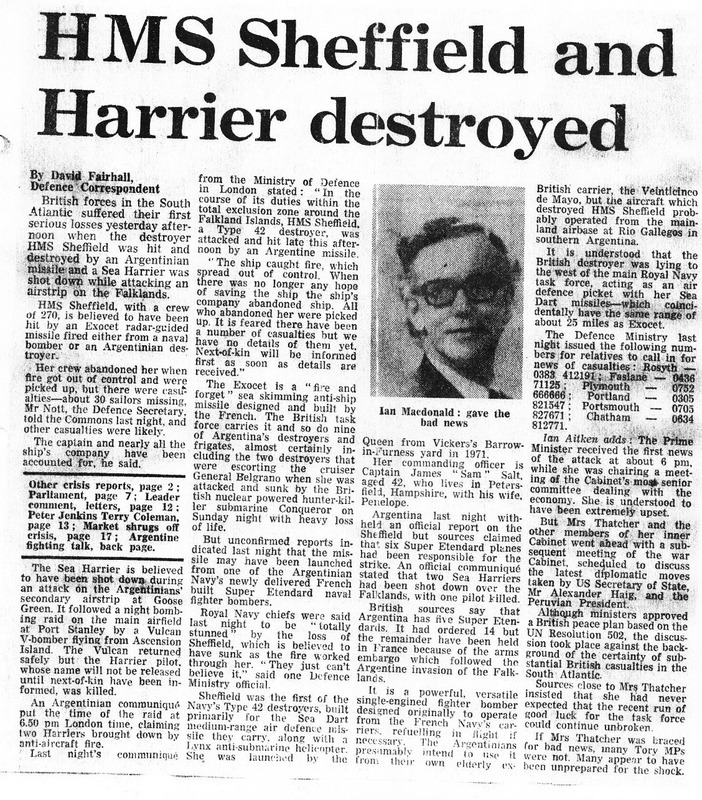 HMS Sheffield was hit by an Exocet missile from an Argentine bomber and a Sea Harrier was shot down while attacking an airstrip on the Falklands. The news was announced by the Ministry of Defence by their spokesman Ian Macdonald in what was to become a familiar voice over the coming weeks as all news from the frontline was far more controlled than is the case now with internet. 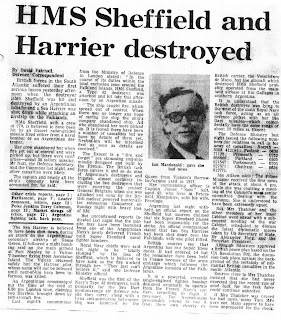 It is hard to believe now how restricted the news at the time was and that word of casualties could be contained. Later on in the war the attacks on soldiers disembarking were kept secret for several days leading to speculation about the extent of the losses which will be seen in future headlines.